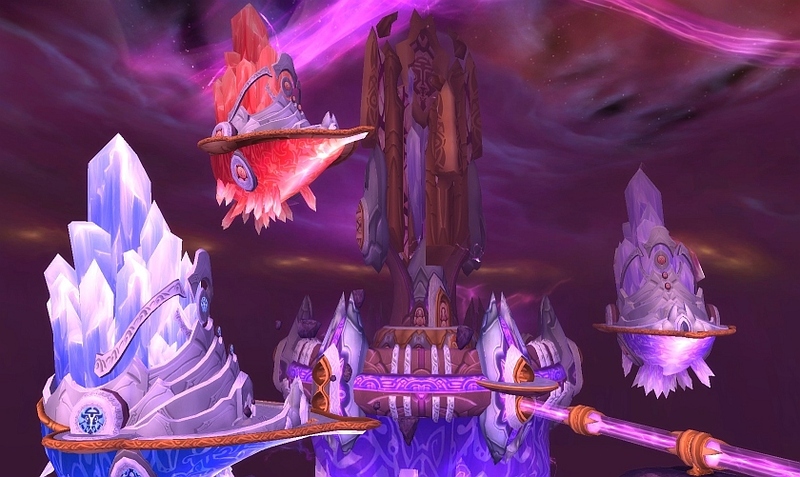 I've received lots of questions regarding Tempest Keep, the Eye in World of Warcraft. I believe it's time to make a new post about solo farming it since MOP was launched. Now that you can be level 90, it's even more easier to solo farm Ashes of Al'ar with any class. Some are still failing though, so how does one solo Kael'thas now? What about the nerfed gold drops, is The Eye still a gold mine? If you are level 90, you can follow the fail proof tactics below, no matter what class you are. It's been over a year since Loot Hunters visited Tempest Keep The Eye. At that point in time it was possible to get 1000 wow gold as gold drops from the 4 bosses and another 200 gold coins from trash mobs. Now that you're getting only 1/25 of the wow gold that you used to get, your main source of gold is the item drops here. The recipes you get here sell very poorly these days too. Some of them were even nerfed, so it doesn't look good. However, main reason people visit Tempest Keep raid instance is the epic flying mount Ashes of Al'ar. At level 90 soloing the last boss, Kael'thas is not even challenging anymore, still I see lots of people asking how to solo him. Once you have triggered the encounter, run out of the room the way you came from and continue running all the way to the entrance of the dungeon. The first advisor will follow you SLOWLY all the way to the entrance. Kill him there. The second advisor soon follows. Kill him next to the entrance portal as well. Before the third advisor comes to you, move to the room where Al'ar is/was. Kill her there. Now run towards Kael'thas' room and kill the last advisor somewhere nearby. Kill the adds that come to you. Stay where the last advisor died and nuke the advisors as they come to you. Kill Kael'Thas! Feeling lucky? Loot Ashes of Al'ar! Need to wait a lot, but no deaths should occur. You can alternatively try to only use Kael'thas' room for this, by pulling the first 2 advisors into the opposite side of the room, and nuke the last 2 advisors near Kael'thas. I prefer to nuke the engineer first to avoid the long stun debuff when they all come alive at the same time. A good geared toon doesn't even have to move, but aoe them all at once. I finally got mine when researching this gold making post! So how much gold can you make here? I usually skip the bosses here myself. I don't find it worthwhile killing them and only get 10 gold for it. Even doing a Cata daily quest is more profitable. The epics they drop don't sell that well either. Still, here's the loot I obtained from a single run. I cleared all mobs and bosses. This run took approx 20 minutes. BOP epics are best to vendor. Only thing you should disenchant is the greenies. The total amount of gold I obtained from this run was: 309 gold. If I did the run before the gold nerf, the sum would have been 1613 gold instead. Quite a nerf? It's best to skip all mobs and bosses, and go directly to Kael'Thas if you are after Ashes of Al'ar. There's lots more gold to be made elsewhere these days! I have a question about soloing KT on my geared 90 hunter... I can solo the 4 mini bosses just fine but if I have my pet out during KT he despawns and resets. If I don't have my pet out I don't have the dps to take him down really. Is there a way around this for hunters? its just luck. sometimes you can down him without that happening. sometimes you can't. it's caused by your pet dying while you're MC'd. and you're only MC'd if your pet is out. but there's a chance he won't MC you before you take him down. and there's a chance you won't kill your pet while MC'd.